I spend a lot of my time on this blog drying flowers, but here are a few pics to show that there is more to dried flowers than potpourri! Last year I had a lot of fun drying marguerite daisies from my garden in various ways. This one was simply pressed. Mona Lisa with daisy headband. A dried daisy from my garden. 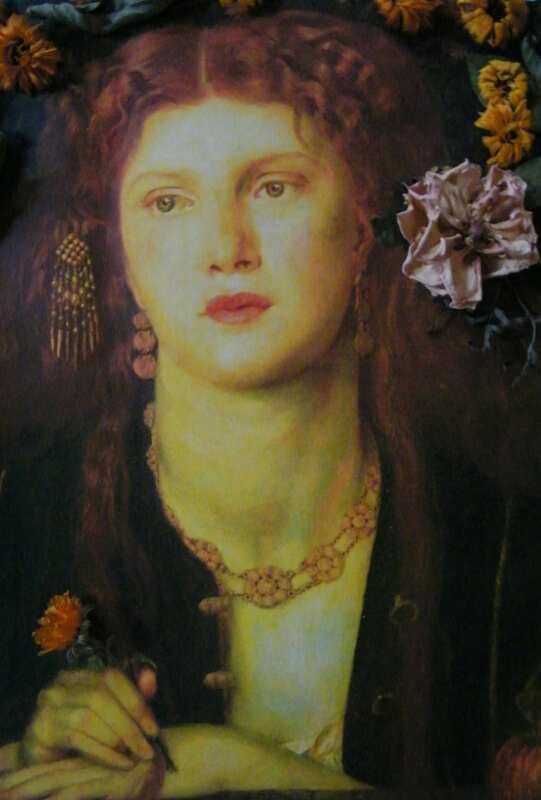 I love Rossetti’s paintings and have previously made an attempt at Fair Rosamund in dried flowers. In the painting of Bocca Baciata (“Mouth that has been kissed”) from 1859, the lady is adorned with a white rose for innocence, marigolds for grief, and there is also an apple in the bottom right hand corner, signifying temptation. So that makes for an intriguing story! Art with added dried flowers – Rossetti’s Bocca Baciata. The dried roses and marigolds are from my garden. Delphinium petals make a very popular wedding confetti, as they are very light and float through the air. There is a burgeoning industry for British grown confetti petals. 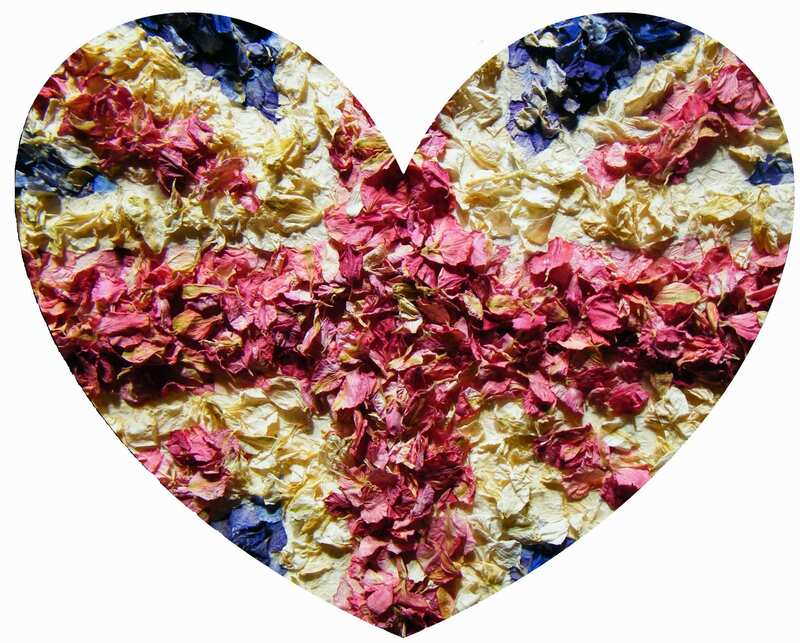 Loving British dried flowers as ever – Union Jack heart made with British delphinium petals. This is a little heart shaped tray containing a selection of dried flowers from my garden including mock orange, geranium, love-in-a-mist, lavender, pelargonium, rose, daisy, verbascum, poppy and salvia. I heart dried flowers – especially these ones grown in my own garden!